Take the next step and become a Broker. Whether you’re going to take the Broker Pre-license Course to expand your knowledge, renew your license, or become a broker, get the quality and flexibility you want in the educational process. This course is designed to allow your to spend less time on what you already know and more time on what you need to learn. You will learn about office operations, broker responsibilities, financial management, and government regulations. The fundamentals of real estate will also be reviewed. By completing this course, you will develop the skills necessary to manage a brokerage office. And you will be better prepared when you’re ready to open your own office. The fundamentals of real estate will also be reviewed. By completing this course, you will develop the skills necessary to manage a brokerage office. And you will be better prepared when you’re ready to open your own office. 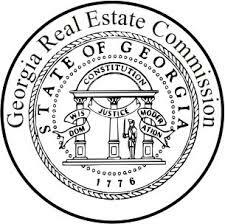 How much does it cost to get Real Estate Broker Pre-License in GA? We realize your time is valuable to you, that’s why we offer the course online over the internet for only $269. We now offer the lowest prices for Broker Pre-License courses. Begin your new career today!